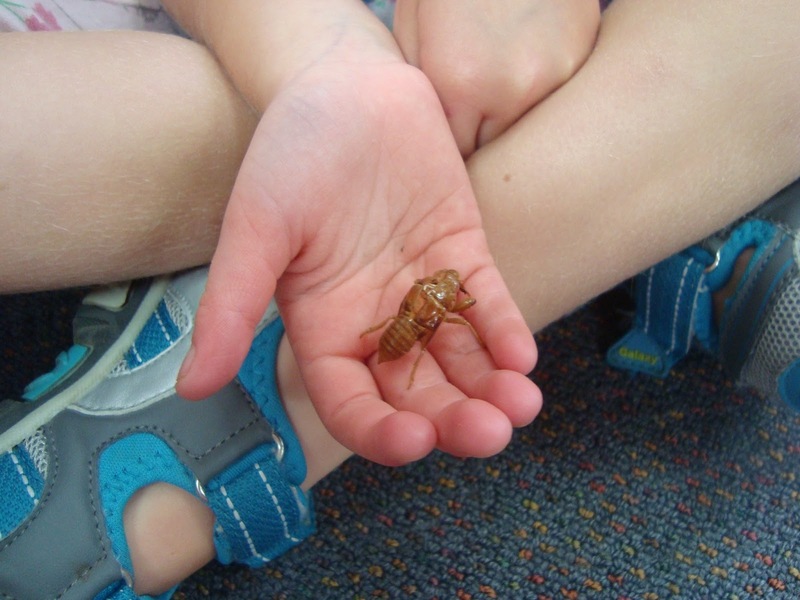 Anyway we found one cicada shell attached to a fence and took it back inside with us. 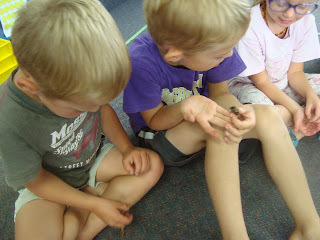 After looking at it and some other pictures of cicadas we wrote some stories about it. I went outside to find a cicada. I was outside, we saw a cicada. I saw a cicada. I saw it hanging on the wall. I saw a cicada it sounded like a bee. I saw a cicada on the wall. 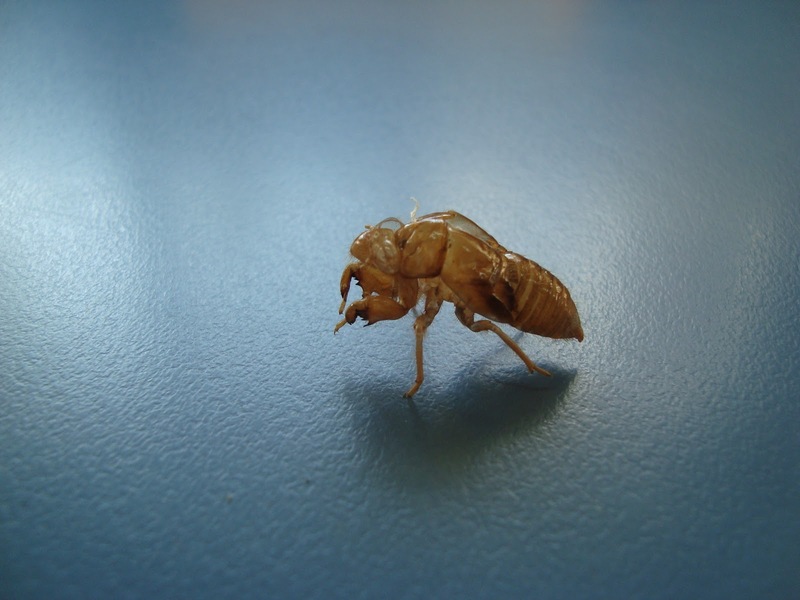 I saw a cicada today. I found it on a gate. It was fun. 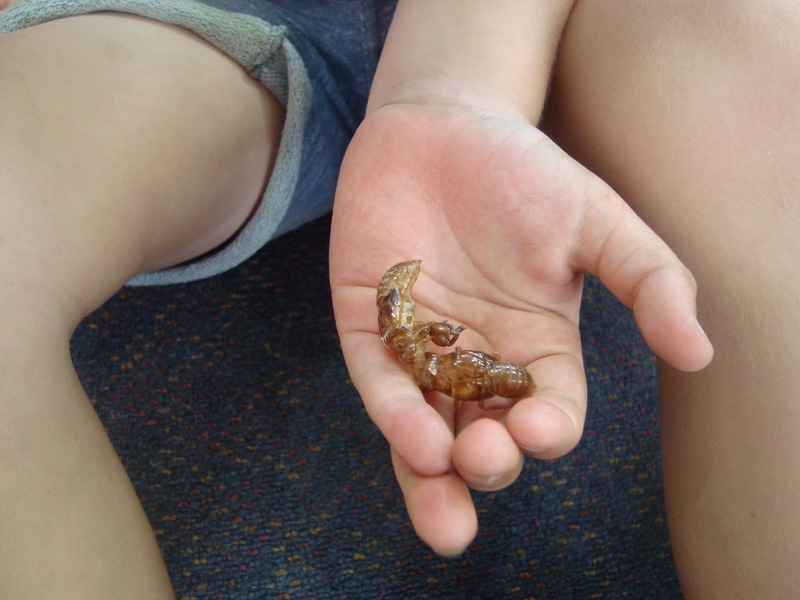 The next morning Navarah brought in some more cicada shells for us to look at. 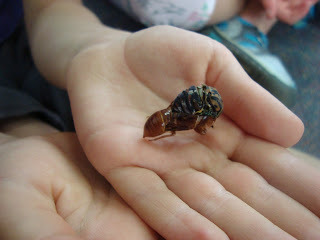 She also had one where the cicada had unfortunately died while shedding it's outer shell. So the green cicada was visible for us to see exactly how it would come out of the shell.